Construction: Imported. Modern classic fit. Center back length: 29". Fabric: 100% polyester feather weight microfleece. 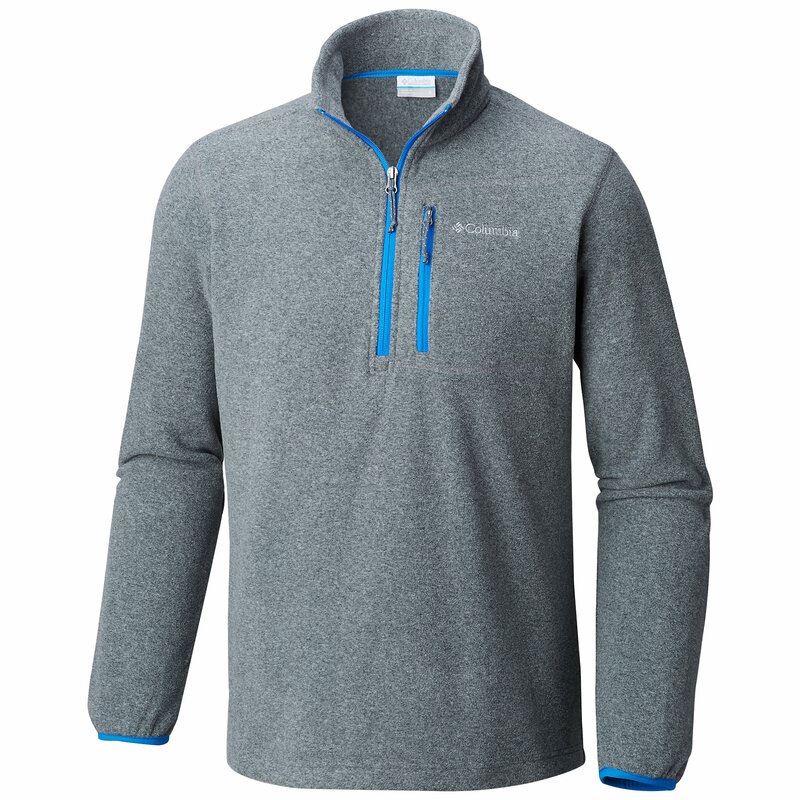 The Klamath Range II half-zip is a soft, lightweight microfleece pullover with a clean design that's perfect for layering. CLOSEOUTS . Lightweight, move-with-you fleece is the only way to go if you're looking for a toasty alternative to bulky, heavy coats. 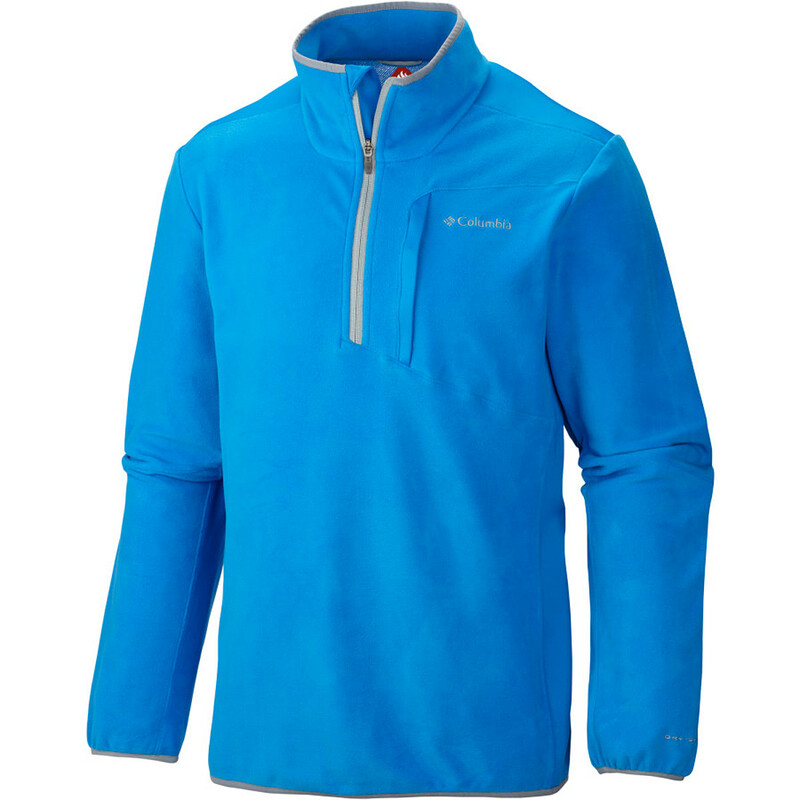 Columbia Sportswear's Klamath Range jacket is primed for adventure with Columbia's own Glacial microfleece, which insulates, breathes and dries quickly. 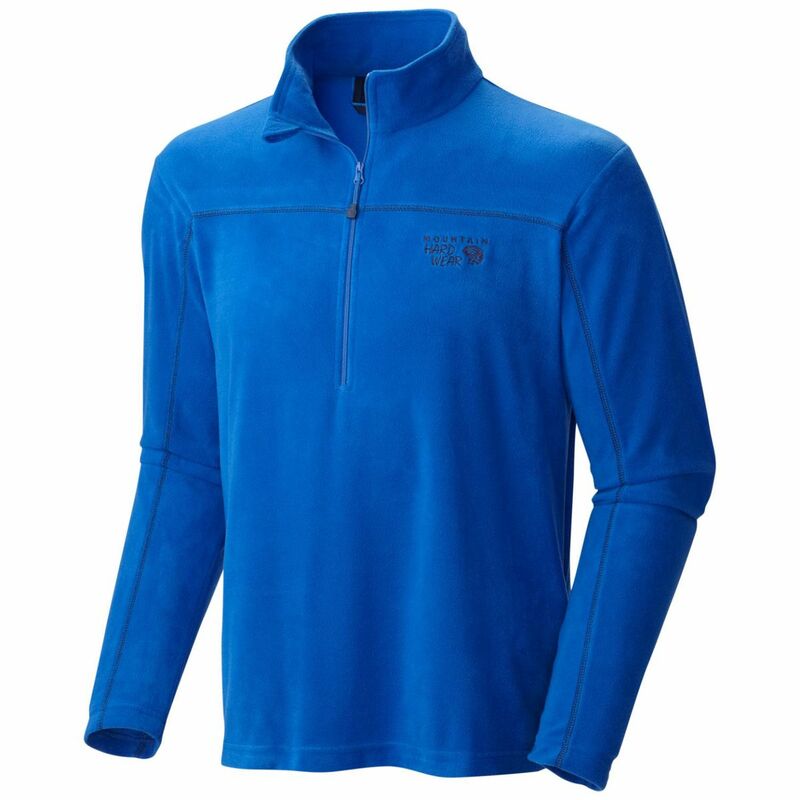 Half zip with zipper garage Neck zip: 8-1/4" Length: 30" (based on large) Weight: 10 oz. Fabric: Polyester Care: Machine wash/dry Made in Indonesia Available Colors: HICKORY/BLACK, GALLION/CHARCOAL, BLACK, CHARCOAL, OLIVE GREEN, COLUMBIA NAVY, GYPSY. 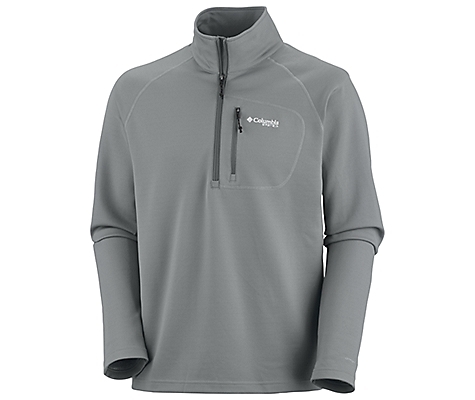 Sizes: S, L, XL, 2XL, M.
It may be feather light and downy soft, but there's nothing wimpy about the Klamath Range Half Zip. 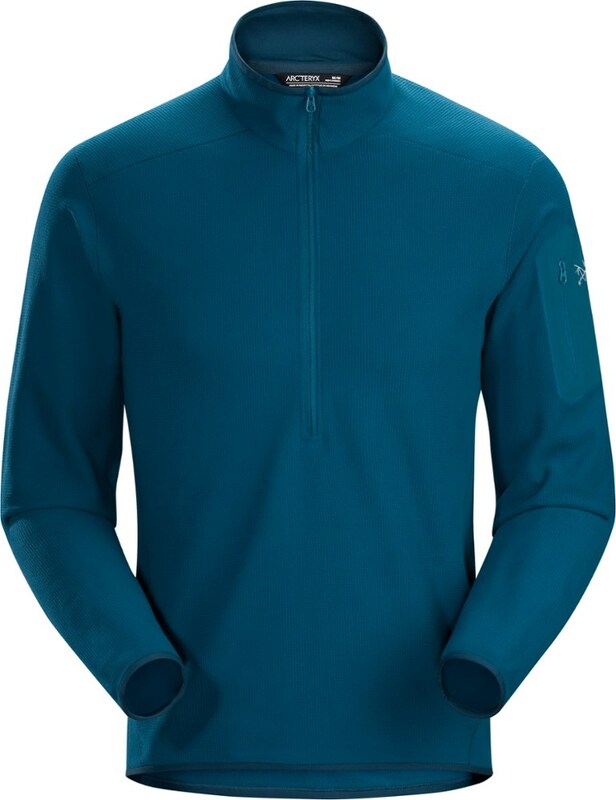 This pullover offers ample warmth, with a neck zip you can snug up to get toasty or unzip to ventilate. 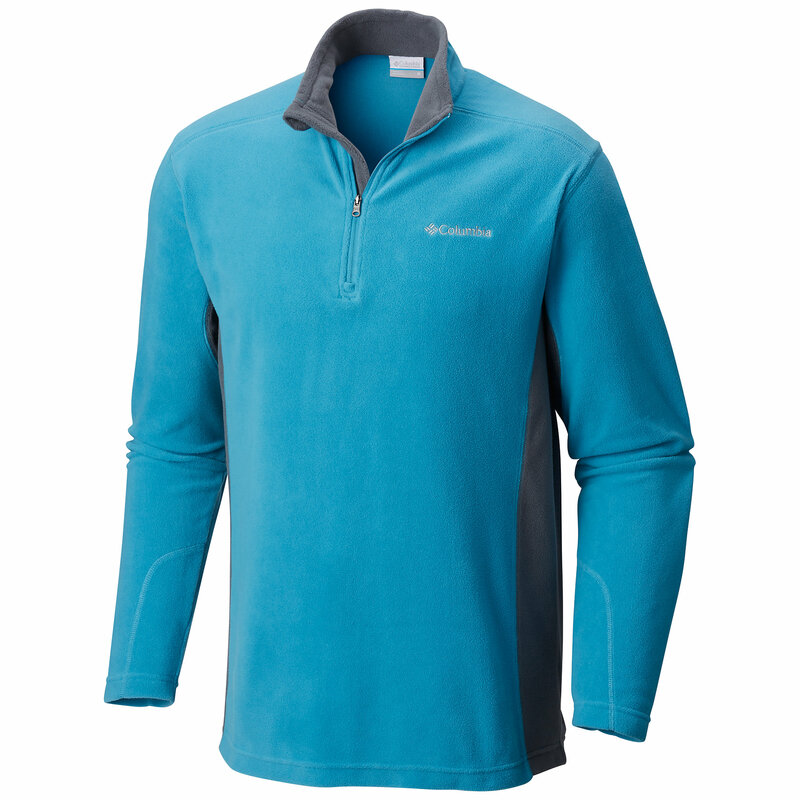 Columbia's patented Glacial(TM) microfleece insulates, breathes and dries quickly, making the Klamath Range an excellent layering piece for changing weather. 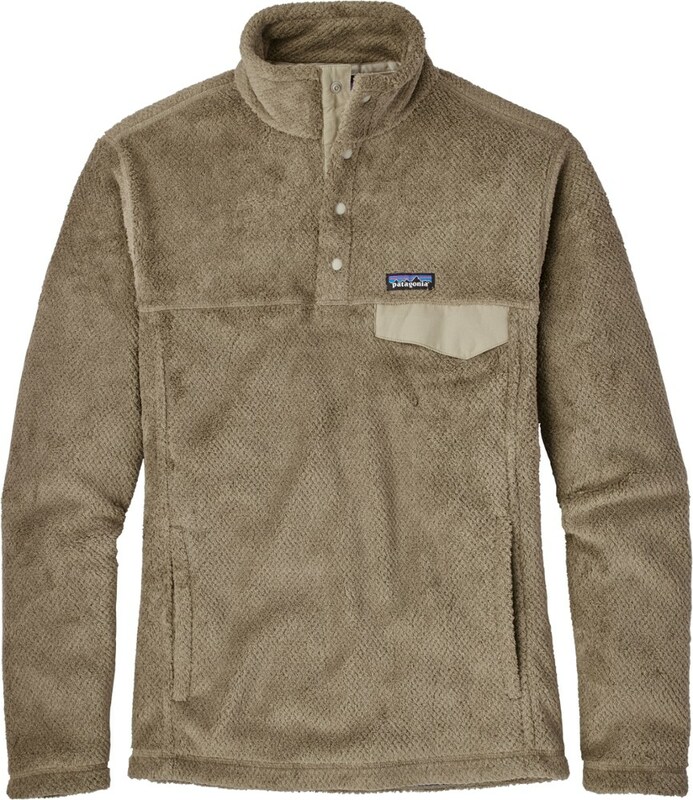 Thoughtful details, like a zipper garage that spares beards and distinctive side and wrist panel seaming, combine to create a handsome fleece shirt that's as comfortable in the vineyards as in the wine bar afterward. Authentic fit.